Why buy land for sale in Crays Hill? 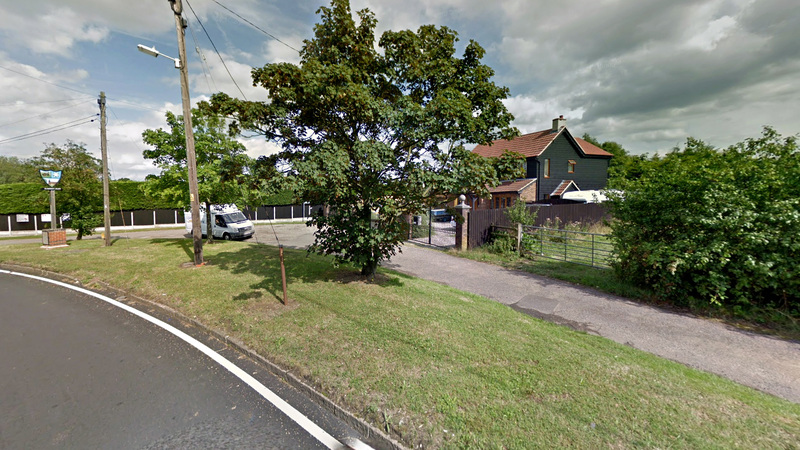 A rare opportunity to own a parcel of pasture land in an affluent village within the London commuter belt. 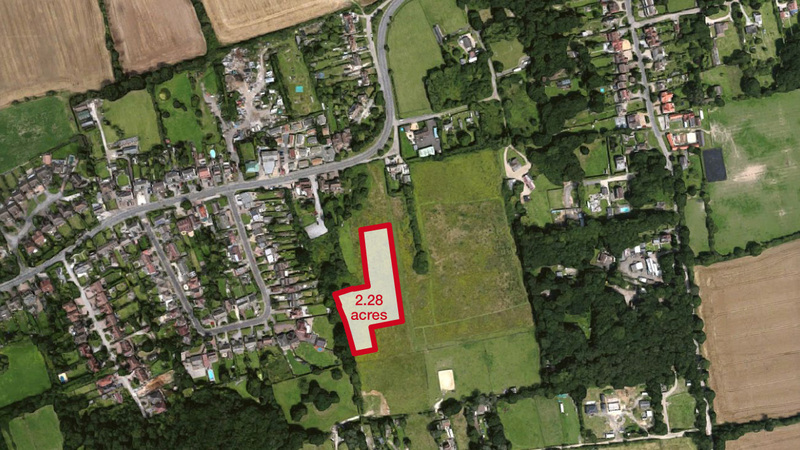 Measuring 2.28 acres, the land is flat and could be suitable for a variety of uses subject to planning permission. The site is ideally placed, with the coastal town of Southend-on-Sea to the east and the City of London to the west. The area benefits from excellent transport links with the A127 offering quick access to the M25 and London. Nearby train stations offer fast, direct rail links into London within just half an hour. The land is surrounded by housing and is situated within the affluent Essex village of Crays Hill. House prices in the area are 76% above the national average reflecting the desirability of the area as a place to own property – including land. 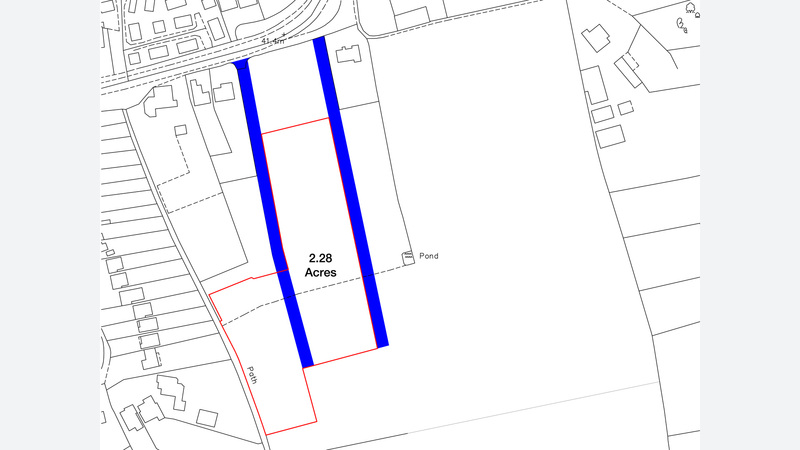 Access is off the A129 London Road from where full vehicular right of way is provided to the land by way of an easement (shown blue on the site plan). The land is designated as green belt. Any development would be subject to the appropriate planning permission. Not looking for land for sale in Crays Hill? The land is situated in an affluent area where house prices in Crays Hill are 55% above the county average and 61% above the regional average (Zoopla). These premium house prices reflect the desirability of the area as a place to live and own property – including land. Crays Hill is an affluent village – and part of the London commuter belt – in the Basildon borough of Essex. The borough of Basildon is a prosperous business location which has seen significant investment and jobs growth in recent years. Throughout the Basildon District there are major developments planned estimated to total nearly £2 billion. These include the regeneration of nearby Basildon and Wickford town centres, where further amenities can be found. Basildon town centre has many high street stores. As well as shops and coffee houses in the open air East Walk and Town Square, there is the covered Eastgate Shopping Centre which is also situated in the Town Centre, home to over 100 retailers. The coastal town of Southend-on-Sea lies to the west and is home to numerous seafront attractions including Adventure Island and the longest leisure pier in the world, Southend Pier. London Southend Airport lies to the north of the town centre. The land lies within the London commuter belt through its nearby direct rail connection to London Liverpool Street, on which a train to London takes approximately 30 minutes. The land also has quick access to the City via the nearby A127, A13 and A12 trunk roads, all of which also allow easy access to the M25 and the rest of the motorway network. To arrange a site visit or to buy the land for sale in Crays Hill; please call 01727 701330 or email enquiries@vantageland.co.uk.